Last night we met one of our neighbors while we were outside grilling. This is Danny, and his parrot, Yo-Yo. 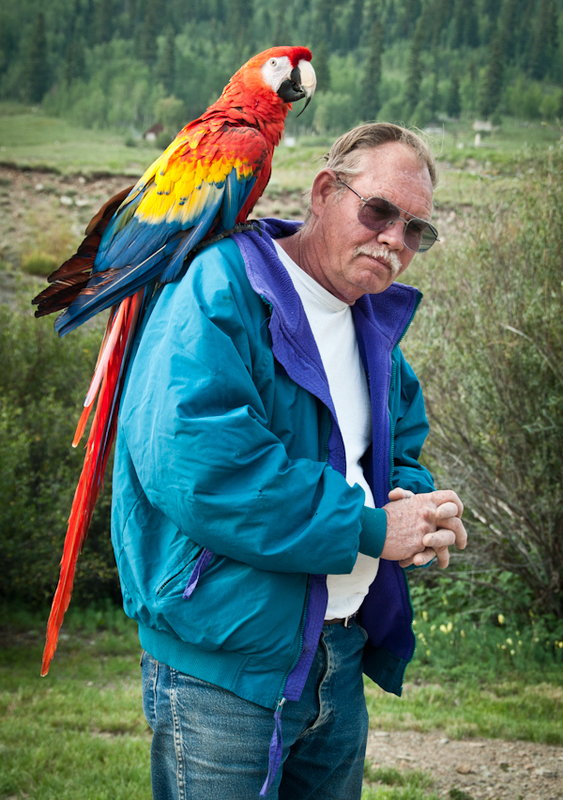 Yo-Yo is a 20 year scarlet macaw, and Danny is retired from The John Deere Company. Danny said they've got two other parrots as well: an African Gray, and a yellow-headed Amazon. He says all three of them compete to be the loudest, and that it's like having toddlers. I'm not sure now whether he meant that the other two parrots were with them in their RV now as well, or back at home (because one four foot tall Amazon parrot is not enough to bring with you in an RV, really).